Is your business growing exponentially? If so, you are probably thinking about getting more SOLIDWORKS licenses. But, did you know there's a way you could share licenses? how long. Network licensing just might be a fit for your company’s needs. Getting started is easy. First, install the license manager software on a network machine. 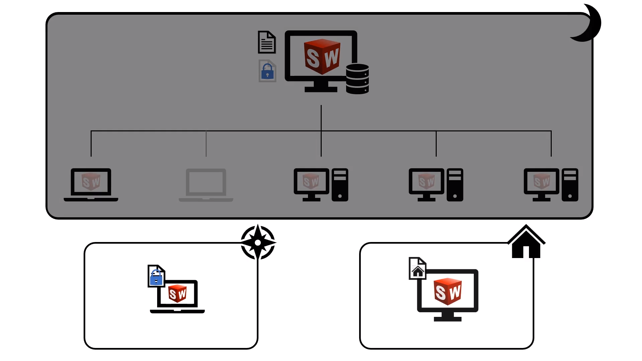 You can then install SOLIDWORKS on as many connected machines as you want. The license manager will automatically release the appropriate license to each computer as needed. However, you have ultimate control. 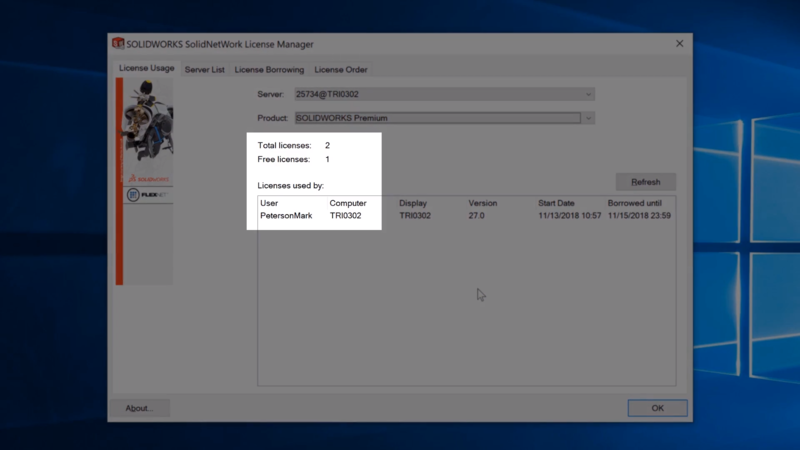 If you'd like to reserve a specific license for a user or group of users, the license manager can accommodate that as well. days and take that machine anywhere they want. For our customers on subscription service, home-use licensing is available. This allows users to install SOLIDWORKS on a home computer, enabling them to work from home with no need to borrow a license. Each user has access to up-to-date information on how many seats are currently in use and of what type. This gives full visibility to the whole team allowing them to collaborate effectively. SOLIDWORKS licensing. It gives all users better visibility and allows them to seamlessly share licenses inside or outside of the local network. Best of all, network licensing makes the best use of your company’s SOLIDWORKS investment across all products. Ready to start sharing your SOLIDWORKS licenses across more devices? Reach out to your account manager or give us a call at 888-TriMech!